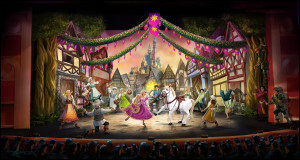 Here’s your DisneyExaminer Weekend Recap. Here’s all that you may have missed in Disney news this week in our first DisneyExaminer Weekend Recap! Striking is fun! 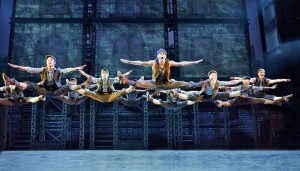 [Newsies musical review] – Watch a sneak peek of Disney’s “Newsies the Musical” on tour and get a glimpse of the “striking” performances of the paperboys of NYC. Ducks on the go! [DuckTales: Remastered for iPhone game review] – Disney Interactive creates new DuckTales: Remastered iPhone game with new graphics, soundtrack, original voice cast from the cartoon, and more. 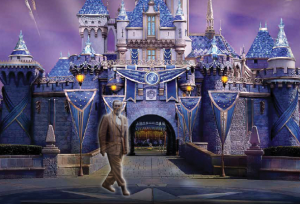 BREAKING NEWS – Walt Disney to make appearances during Disneyland’s 60th anniversary – Disneyland announces a new meet-and-greet opportunity with Walt Disney during the 60th Anniversary Diamond Celebration, beginning May 22. Participate in a Disney’s Egg-stravaganza hunt this Easter – From March 27 to April 5, guests can purchase special maps to search for Easter eggs at Disneyland and California Adventure. After locating all the eggs, guest can redeem eggs-clusive prizes! DEP 012 : DuckTales + Tina Fey + Monkey Kingdom – We discuss “The Rock” Johnson’s spoof of ‘Bambi’ on ‘Saturday Night Live,’ Disney ‘s soon-to-be made TV show of a popular children book ‘Fancy Nancy,’ and more in the DisneyExaminer Podcast Episode 10. 5 reasons why Marvel Universe LIVE is something you should see – Learn how Marvel’s greatest superheroes brought the Marvel Universe LIVE stunt show to life. Remember to follow us on Facebook, Twitter, and Instagram for the latest Disney news as it happens during the week. Also, subscribe to our podcast and e-newsletter for even more Disney content. Next story Ever wonder where your favorite Disney Channel stars are now?